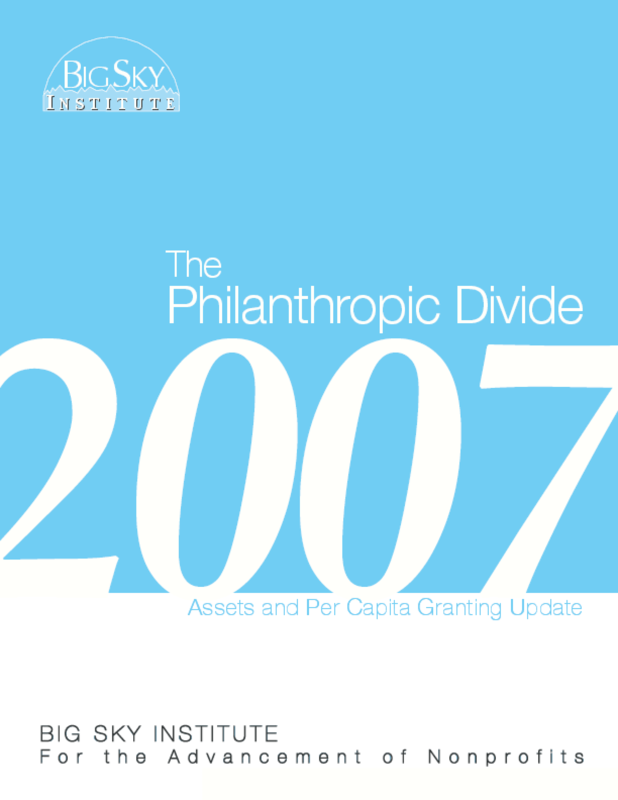 Highlights the significant and rapidly widening gap in in-state foundation assets and per-capita grantmaking between the largely rural ten most "philanthropically challenged" states and the top ten states. Outlines implications and next steps. Copyright 2008 Big Sky Institute for the Advancement of Nonprofits.